How to Recover the Deleted Files from USB or Hard Drive? This type of questions click your mind when your important data is lost mistakenly or when you drag some files to your Recycle Bin, and without thinking you empty the Recycle Bin and your most important files were in there! And all may seem vanished. But you don’t need to stress yourself about this as I will tell you How to recover the deleted Files. When you delete files from the external hard drive, what happens then? Whenever you delete files from the external hard drive, your data will not get stored in your recycle bin; instead, your data evades Recycle Bin and will be lost. But the data or files deleted from your external hard drive will not be lost permanently. Therefore, you can recover the deleted files from Harddisk. There are many file recovery software available which will retrieve the lost files from removable hard disk. I hope you may also like to check my step by step guide on “How to Recover Delete Data in Android“. Step 1. Install EaseUS Data Recovery Wizard and choose the file categories you need to retrieve. Select the external hard drive and select Scan button. A quick scan will be done. Step 2. When the quick scan completes, a deep scan will start automatically which will find out more files. Step 3. Now you can see all the recoverable data in succession and select out those files you want. After this select the button Recover and get your lost data back. In order to avoid data overwriting you need to save all the retrieved files on another disk. Another recovery program which can help you recover your deleted files. Yodot File Recovery: This program is considered as the best program for the retrieval of all your deleted data from an external hard drive. The original files remain the same and this software doesn’t cause them to alter or to be modified during the recovery process. 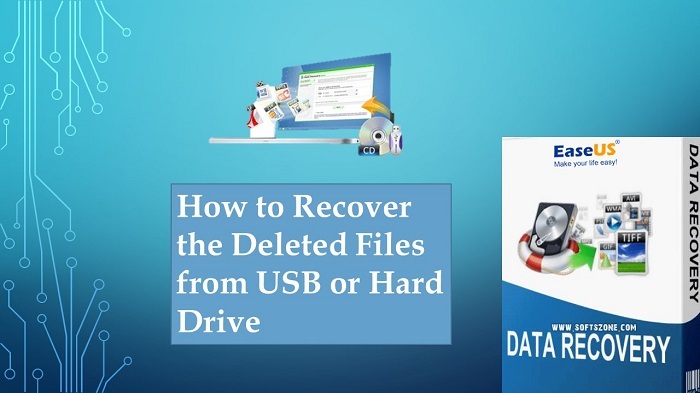 Recovery of data is so simple through this software and even an immature computer user can easily retrieve his deleted files from external hard drive and other storage devices like USB, memory cards etc. Install Yodot File Recovery software. Open it after installation and stick to the main screen procedure. The scanning starts and all type of drives appear on your screen, choose your external drive and select the button Next. The recoverable data appears in two different views i.e. data and file type view which causes your search to become easier. Now choose the files you want to retrieve and then click Next. View the files which you have just recovered before saving. At the end browse for the suitable location to save your retrieved data. Once you experience the data loss mishap, avoid storing new data in that very external hard drive. During the process of copying or file transferring, never remove your USB or any other external hard drive. Backup your all important data before formatting, OS, file system conversion or any other set-up. So this all about “How to recover the deleted files from Usb or Hard drive”. If you face any difficulty in recovering your data then let me know in the comment section below.